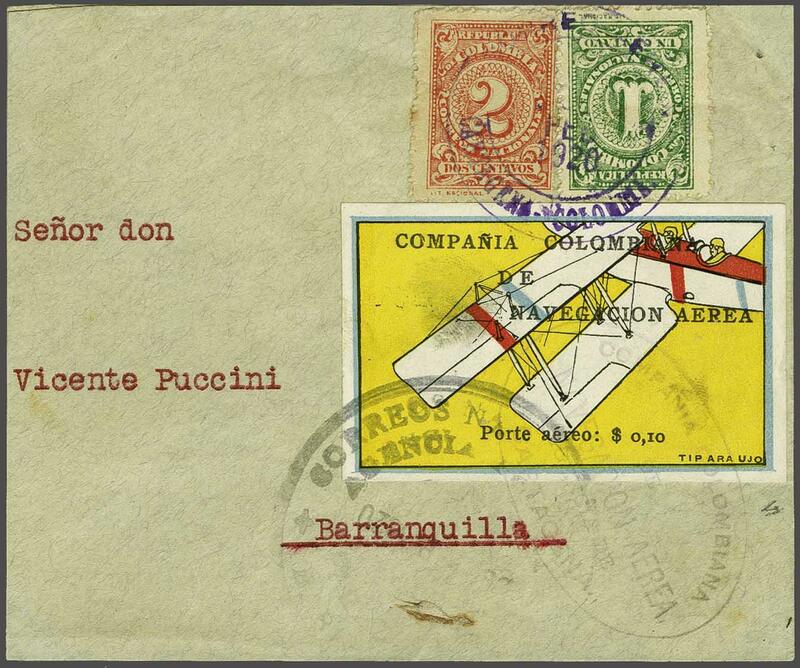 1920 (Feb 22): Multicolores 'Tilted Plane' 10 c. imperforate vignette, used with 1904 1 c. green and 2 c. rose on large part of cover, trimmed on three sides, addressed to Barranquilla, carried on the First Flight, tied by oval CCNA handstamp in violet and by Cartagena circular datestamp (Feb 22) in violet and arrival datestamp in black. A fine and scarce usage. Cert. 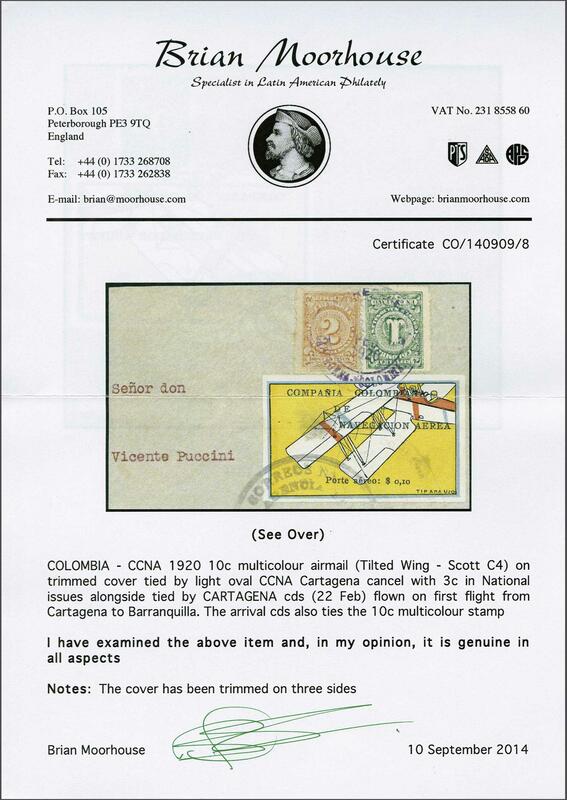 Moorhouse (2014) Scott = $ 1'875 off cover.rnProvenance: Collection Dr. Hugo Goeggel, Corinphila sale 191, Nov 2014, lot 192.